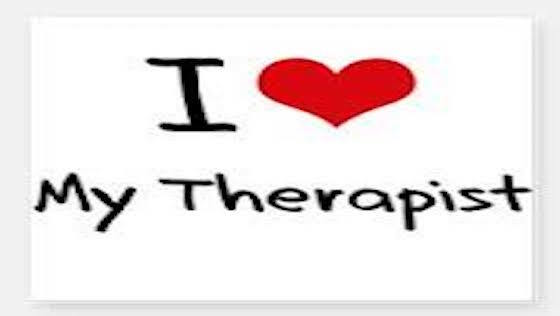 I want therapy to help my patients to stop being self-punitive and really understand how they got here. If there is a good part of PPD, and this is something we work on in therapy, it usually makes women more flexible. Their personalities become more flexible and it helps them to cope with more things. Believe me, I don’t want any new mom to suffer like that but sometimes going through it and having children, you have to learn to be more flexible. I work on this with my moms and get to see a lot of it happen in a positive way. I also try to meet my moms where they are at. Sometimes moms feel like the only thing they can give the baby is their breast milk, especially if the baby is in the NICU or there are bonding issues. So I will just say, let’s see how this goes. Especially when they are in the beginning just trying it out. Another thing is that women, career women are having babies later. They go from thinking they want to stay home no matter what when what they don’t realize is so much of their identities are tied to their occupation, getting a paycheck, and talking to other adults. Sometimes going from work to home is totally devastating. It’s not anything like people think it’s going to be. And some women need to go back to work earlier. The schedule and the structure helps them. You just have to know your self and learn not to judge yourself for what you need. Therapy can really help with this. Even myself all those years ago--I was working a 60-hour internship, gained 52 pounds, was the at the highest productivity level, worked until 10pm every night and I thought, “What can be harder than this?” It was a devastating difference. I just didn’t think that would happen to me, just like all my women don’t think it will happen to them. I mean I had my doctorate in this field when I got mine. I heard somebody say this once and it has always stuck with me. Women nowadays feel like they have to be moms of the 1950s and moms of the 2000s at the same time and it’s an impossible mission. We can’t possibly be both this wonderful, intelligent, smart career woman, have everything and be a 1950s mom too. it’s an impossible feat, especially without a tribe. My grandparents lived 20 minutes away from my parents--both sets. Everybody lived on the same block. And everyone in my neighborhood stayed. People rarely moved and they knew each other for years. Here in Charlotte, it's a very transient city with people coming and going. The patient calls I get on my office phone have MA, GA, VA, NY, etc. area codes. Not many are from here and connected. There are so many individual differences when it comes to treating PPD. PPD is an umbrella term that encompasses other disorders. A woman could have this symptom and that symptom and a piece of this and a piece of that and it’s not one single thing. It’s different for everybody. Some people have bonding issues. Some people don’t. Even when it comes to taking medicine--let’s say a woman took one drug for her flat depression in her late twenties and now she has an agitated anxious depression now. Some doctors will put her back on that same drug as before but that isn’t the best medicine and might make the anxiety worse. You have to treat PPD like it’s a brand new illness. Your baby hasn’t been here that long and you’re sick. We don’t want to wear a mom out when she’s already worn out. Often women on their good days will do way too much and then the next day is bound to be bad. Even when you’re feeling good, don’t over do it. That’s why I think education with the family is most important. If they are willing, I try to get the husband to educate the family-- especially about what to say and what not to say. Sometimes relatives can say things that are crushing. I’ve also had moms come to therapy sessions and bring other family members with them. Also, everyone always comes down in the beginning., but you can be running on adrenaline during the first three weeks and feel fine. Have family members come at the three month mark too. Have your husband take off another week from work then and not all at the beginning because that’s when you’re the most exhausted. I’ve even sent people and their babies to their families in another state to stay with them. That’s sometimes hard to explain to the husbands because they’re leaving, but to get this woman well, we need the family support. If we can get as many people to get down here to help and be supportive but not judgmental, that is best. People tend to do what they want to do for you and not what you need them to do so make a list and put it on the refrigerator or have your husband do it. They might want to take care of the baby or do errands and you might just need them to sit with you. Helping the Husbands "Get It"
It’s hard for husbands too because they don’t always understand. They want to know, “Where did my wife go?” It can be a shock for them because their wives’ personalities are so different. I’ve heard some say that you need to just pull yourself up by the bootstraps and it doesn’t work that way. I want the husbands in my office by the second or third session. An outlet is good for the husbands, but It’s just a balance. If in the beginning your wife didn’t want to be away from you because she is so raw and panicked, just give me some time, we will get you back there. I know you need your time and your outlet, but if it’s just you two, we have to try to do this for right now. Most husbands are really supportive and understand that their wives are not themselves right now and might need a little more from them. I also like to talk to couples about intimacy. A lot of my women who breastfeed all the time or are just taking care of the baby all the time feel like they need to breathe. They feel suffocated. They don’t need any more touch. Many husbands will feel rejected by that. So sometimes we have to really educate them on the intimacy aspect of that. I’m all for a couple has to connect but sometimes these women will even stay up later just to be by themselves. They just need to have no skin to skin for a bit. It feels suffocating. I try to explain to the husbands that It’s not a personal. Don’t personalize it--even the depression. She will get better. This will get better. We’re going to work towards connecting again. I’ve also had women coming in during pregnancy now, which is great because they can be predictive. You can have risk factors in pregnancy. Most people feel like it can’t happen to them. My own mother would say to me, “I think your having some hormonal issues,” but no one understood. And I was up every 2 hours for 8 months. That’s another thing. Sleep is enormous. I know they are an infant, but if there is any way we can get one stretch of five hours just a few times a week, that would help immensely. There is a lot of controversy around that because of care for the baby vs. care for the mother. The self care part has gone out the window. It’s not my style to say do 1,2,3,4,5 and you will get better, but if you take care of yourself, your family life will get better. So even if you don’t want to do it for yourself, do it for the others. The thing with anxiety, which is usually part of most postpartum mood disorders is that it’s irrational. People don’t understand that part. And as much as you can logically tell people, the baby is not going to get stolen out of the back seat when you’re at a stop sign, when that emotion hits and you’re that raw, you can’t do anything about it right then. Some women say they don’t want medicine, but after a while I tell them you have to get your body settled down. You are in fight or flight all the time and you’re not going to take in the information from therapy if we don’t get your body calmed down. I’m all for alternative ways to control the anxiety, but it also depends on your symptomatology. There has been a lot of research on light therapy, yoga, relaxation training, and acupuncture. Most of these don’t have as much research behind it as medicine and therapy do though. I also often say you don’t have to be here forever. You can get better and move on or you can stay in treatment if you want to, but my job is to get you better from this. The other thing that’s really important to understand is that most people who have generalized anxiety disorder do not know it. Most of these women I see have had generalized anxiety disorder but they’ve put their life in so much order that they’ve kept it under control. I ask, “Were you a worrier before? Did you have trouble going through transitions in life? Even if it was a good transition?” Most of them say yes. My mother always says, that’s just their personality. They compensated. They think that’s their normal. And then the baby comes and throws everything out of whack. It’s often that first step of taking it or not wanting to. And I need to stay with the woman where she is. If she doesn’t want to take medicine, I have to stay with her. We try to do everything else and if she’s not getting better we need to revisit it. The other tough thing is pushing on people’s values. I say this is what I think would be best but I also want to respect their values—that’s the boundary. If someone is suffering terribly and they need medicine that isn’t compatible with breastfeeding or some of these women have never even touched a Tylenol, I leave it more to them. Some of these women have never been on medicine before. We have to really look at individual differences and understand. If you’re freaking out and anxious and you’re afraid of medicine, all you need to have is one side effect and you’re going to think, “I’m never taking medicine again.” And we don’t want you like that either. We don’t want you sick. We don’t want you a zombie. We just want you without depression and anxiety. If there are enough risk factors and I’m seeing enough symptoms that say this is going to be indicative of when you get to three months that this is going to get worse, I’m going to bring up the medication. Psychiatrists are the best for prescribing medicine, but often times, especially where we live, I feel like we need to know a lot about medicine because we are dealing with family doctors and obstetricians. When I call my doctors they get on the phone with me and we will discuss it because they can prescribe. Certainly psychiatrists would be the best avenue but we have limited amounts of good ones and limited ones on insurance. In a perfect world, you would be going to a psychiatrist, but in our world, we have to lean on the others. I often say make a psychiatric appointment because sometimes it takes three months to get in. We can always cancel it. And the ones that are self-pay, I say I know it’s expensive, but if we need to go to a psychiatrist, it’s worth it. They know this much where your OB and family doctor only know this much. I’m very reluctant at first. In my experience, if women are over the hump and they are starting to feel better then we can do a group. If they are in the beginning of their illness, they are raw and so anxious. If we have five of them in a room together, they feed off one another—Oh my God, she has had it for 9 months. Will I be sick that long? She has this symptom. Am I going to get that too? I don’t find it helpful. I prefer what I do which is a support sponsor. I have a few women who have gotten better and I match them up with moms currently suffering. If you say to me, “I’m never going to get better,” I have someone well who will talk to you. We need to educate and put it out there. The Mothers Act, if that every comes to fruition is that Postpartum Support International has trained us to educate the OBs, so if that happens we will be going out and educating doctors. With mental illness in general, the point is to understand it more because we don’t treat it like we treat another sickness. You can’t always see mental illness just by looking at someone, especially if they are pretending it’s not there. There are certain people in certain cultures who are not going to believe in it no matter what we do. There are some states that are better than others. Some have clergy trained to recognize and help new moms. In certain other countries they check in with moms at certain times after birth. Because we know the risk factors, we can identify them before pregnancy. Everyone assumes it must be low income or people who have had battled mental illness their whole life are the ones who get postpartum depression. Or its not postpartum depression unless you are thinking of throwing your baby out the window. If you had diabetes would you be deprived of insulin? If you had cancer, would you be expected to give everything to your husband and baby? PPD is no different. As you get well, you will bond more with your baby because you will have more in you. And most of these women are doing everything they are supposed to do. They are just judging how they are feeling about it. They want to feel happy and excited and joyful about changing the diaper, but they just can’t in that moment. And if you leave me and get pregnant again, I want to check in with you during each trimester. Let’s check your symptoms before so we can be proactive during and after. Doctors on Demand is an app founded by Dr. Phil McGraw and his son Jay McGraw, creator of the TV series, The Doctors, that allows you to virtually see a board certified doctor. They started with medical doctors, but now there are 300 psychologists across the country that have joined the network. I am one of them and although I am considered a general practitioner on their site, my bio talks about specializing in postpartum mood disorders. I can now reach people who are stuck in because of various reasons. They are licensing me in eight other states so I will be licensed in nine states for video therapy. And for people who feel more ashamed, this is a great first start.Their blog is also a great resource and so informative. I’ve written about PPD for the blog and now I have the opportunity to reach more and more people because there aren’t many psychologists who specialize in it. Try not to get alarmed if a mom says I don’t like my baby right now or I don’t feel connected. Even in the typical population, to say my life was very different before I had a baby and sometimes I want to go back there is so normal. There is so much pressure and too much reading material. This is not a typical environment. You only have two people. If you have to sleep in another room so you can get sleep, there’s nothing wrong with your marriage. This is self-preservation. I want to call attention to The Semi Colon Project , an organization that I support, which brings awareness to mental health. The semi colon symbolizes that your story isn’t over yet. You are the author and the story is your life. BIO: Dr. Judith M. Thorne practices as a Licensed Clinical Psychologist Charlotte, NC. She possesses an MA in Applied Psychology (1989), an MS in Applied Psychology (1993) and a Doctorate in Clinical Psychology (1997). She has served on the board of “NC depression after delivery”, has been a resource for “NC moms supporting moms” and has received certification from Postpartum Support International. Dr. Thorne has been in private practice for over 18 years, treating children, adolescents, adults and couples. Over the last 17 years, she has become an expert in perinatal anxiety, mood and psychotic disorders. She also treats those who have experienced infertility and loss. Dr. Thorne has taught at the University level, has conducted continuing education, appeared on local news to provide information and has acted as a supervisor to both psychologists and social workers. She personally experienced a postpartum adjustment after the birth of her first child and is passionate about helping others to navigate through this difficult experience.